The official legal tampering period opened on Monday of this week and quite a bit has happened within it according to the legendary Adam Schefter. If you want to find out the NFL news first with regards to player moves etc. you absolutely need to follow the ESPN insider on Twitter (@AdamSchefter). Ian Rapoport (@RapSheet) is another great follow as he’s the NFL Network version. 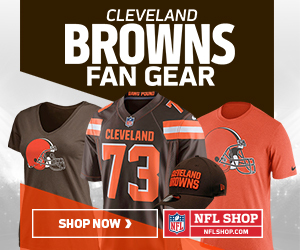 Although it’s been a very busy time around the NFL since the tampering period opened, things didn’t start off as busily for the Cleveland Browns as many of the fans would have liked. I’m not quite sure what they expected as it takes a while for discussions to start and progress. It took until the second day before we started hearing about deals that will be official at the start of the 2018 NFL season which is Wednesday, 14th March. So which new faces can we expect to be seeing on the roster for the 2018 season? The biggest initial signing by the Browns will be that of right tackle, Chris Hubbard. He comes to the team from divisional rivals, the Pittsburgh Steelers and rejoins his former OC, Todd Haley. Undrafted in the 2013 draft, Hubbard has flirted with the Pittsburgh Steelers’ roster as a right tackle but has been kept from being a starter there due to Marcus Gilbert being their number one guy. Hubbard has seen some starts for them, though, due to injuries sustained by Gilbert. He may be quite an unknown name, but the more I read about him the more I like him, and it seems that people in the know with regards to the Steelers had seen that he’d be moving on this off-season and deserves to be a starting RT somewhere. Obviously, Todd Haley knew that as well and it’ll be on his assurances that GM John Dorsey was happy to hand Hubbard a starters grade pay deal. An encouraging tweet about him was posted by a member of the Scouting Academy which had some footage of him playing against the Detroit Lions. To me, that tweet shows that he can block better than any RT we’ve had on the team for a while. After we had to endure failed 1st-round pick Cameron Irving and then the average Shon Coleman, I’m actually excited to have Hubbard in to compete for that position and, hopefully, be the starter in 2018. Right tackle has been a problem for quite a while and I think Dorsey and the FO could have found the guy to sort it out at last. A quick look at the PFF grades on him shows that he’s a much better pass-blocker than run-blocker as he has 74.0 and 47.4 grades, respectively. That run-blocking grade is a little concerning but we have to trust the guys in the know as they’re willing to pay him all that money and I’ve heard terms such as “under-the-radar” and “underrated” used to describe him. Those PFF ratings suggest he could be good at left tackle if Joe Thomas doesn’t return and we miss out on Nate Solder. I’m more than comfortable with this pickup right now and I’m glad someone is finally addressing that position with what sounds like a bit of experienced quality. They’re paying him like a starting right tackle (5-years, $37.5 million with $18 million guaranteed) so I hope he’s as good as people are hinting at. Another offensive tackle addition adds fuel to the fire that Joe Thomas could indeed be retiring. Stephenson will have been added to give the offensive line some much-needed depth and, indeed, better quality depth at that. He’s played at both left and right tackle spots as well as guard during his time with the Kansas City Chiefs before moving on to the Denver Broncos where he’s gained experience at the right tackle spot. I can’t see that he’s been brought in to add anything more than some competition at the right tackle spot and he might not see much playing time for the Browns. Stephenson does have that connection to John Dorsey, though, as they both spent time together with the Chiefs after they drafted him in the 2012 3rd round. Stephenson gets a 1-year, $2.5 million deal as a roster filler. The Cleveland Browns continue to address the quality of depth they have in the trenches as we all should know that it’s a great idea to build a team from the trenches out. They’ve also taken another player that was with a divisional rival last season, this time the Cincinnati Bengals. Chris Smith is another middle-tier veteran who will come in and add his experience to a young roster and help the Cleveland Browns to win a few games this coming year. Again, just like the two offensive tackles signed on the same day, Chris Smith isn’t going to come in and light the place up, but what he will do is add some experience and, perhaps, leadership to the likes of the young Myles Garrett and Emmanuel Ogbah. Both of who will still likely be the starters at left and right defensive ends. Chris Smith has been added as a rotational player and a good one that the Cincinnati Bengals would have liked to have kept. He’s reported to be signing a deal worth $14 million over three years. More Signings on the Way! As I write this, slightly distracted by my Twitter feed, reports of more signings are starting to come in. I’ll get to them in my next post so be sure to check back! NextWhat Does Joe Thomas’s Retirement Mean for the Browns OL?